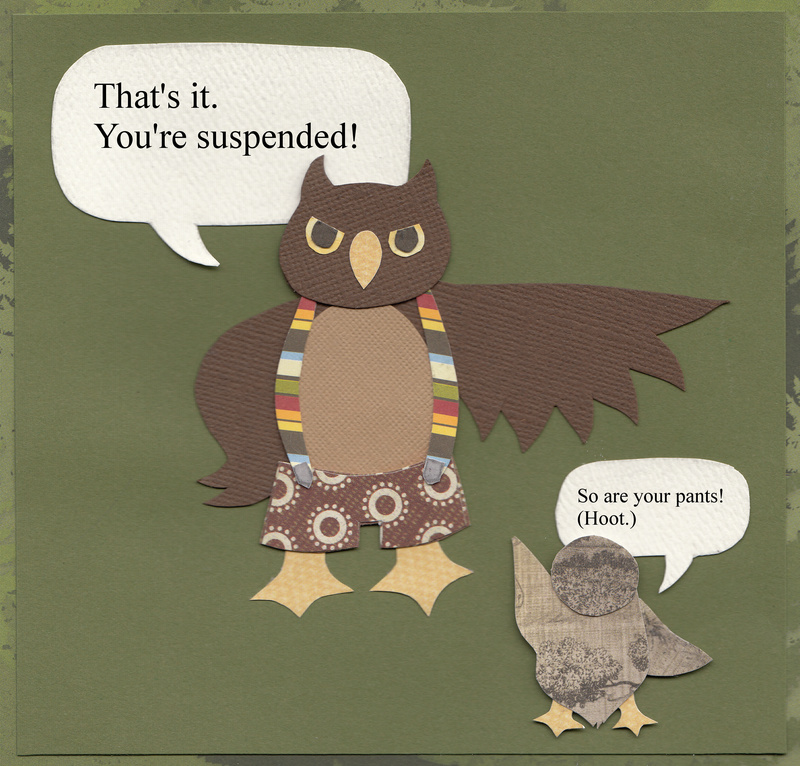 Owlet may have chosen the wrong day to hoot at Principal Otus’s suspenders . . . but he couldn’t help himself. What a fun play on words! I absolutely love it! neat collage and cute all around! Haha.. I do love those pants!!! Thanks to you both! I’m pretty sure I need a pair of pants like that. Oh my goodness, owlet is adorable! And I am too fond of those suspenders.